Pro Extensions 100% human hair streaks are made from the highest quality human hair, Remi Human Hair Graded A+. Streaks are a fun and an easy way to add colors to your hair. Lo-lights, hi-lights or vivid colors are all easily placed with our 2 pack streak kits. 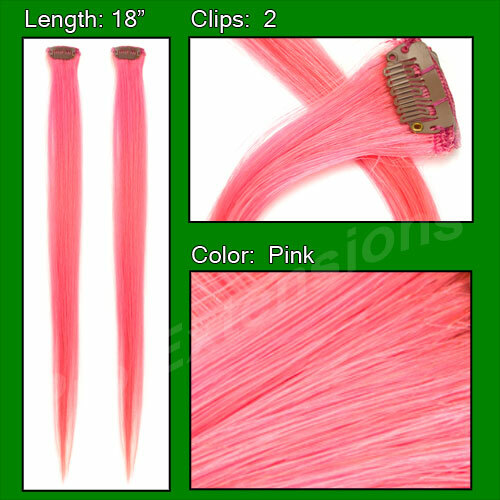 Each kit contains 2 of our 1.5 inch wefts that are 18" long. The Color of this set is PINK.